Digital X-rays are a focused beam of x-ray particles passed through bone which produce an image on special film, showing the structure through which it passed. This provides the familiar black and white images doctors and dentists use to diagnose problems and disease. 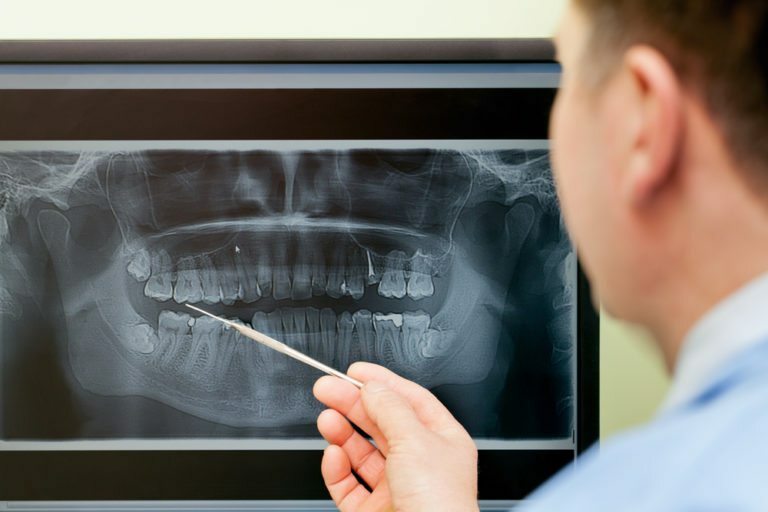 Without an x-ray of the whole tooth and supporting bone and gum tissues, there would be no way to detect infection or pathology that requires attention. In our office we use digital radiography. This allows us to take digital x-rays using up to 90% less radiation than conventional film x-rays. Using this technology, we are able to take a digital x-ray of your mouth by using a small sensor which records the image of your teeth and sends it to a computer. The result is a highly detailed image of your mouth. This can easily be enhanced to better diagnosis dental concerns and determine the very best treatment for each case.